Yeah I finally did it. 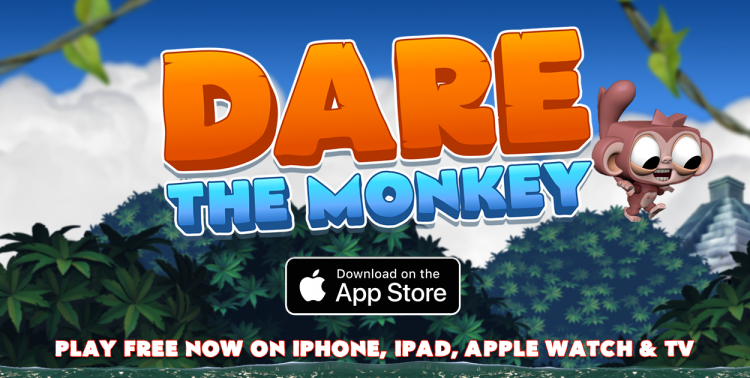 After almost three years of hard work I’m delighted to announce the release of Dare the Monkey, and it’s made it out just in time for Christmas too! So if you’ve been following my blog and fancy seeing what all the fuss is about then please download it and give it a go. The game’s an extremely addictive, super casual, one-touch platformer that evokes the spirit of classic arcade and console games. In many ways it’s a love letter to the golden age of Sega and Nintendo games but reinvented for mobile. 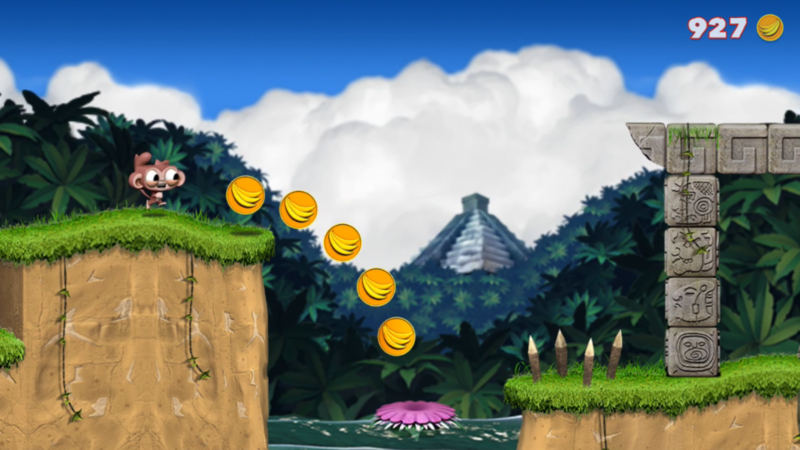 Think Donkey Kong Country meets Mr. Jump with a touch of Sonic the Hedgehog thrown in for good measure. And if Santa’s bringing you a shiny new iPhone X or Apple Watch then great news, Dare runs on those too. 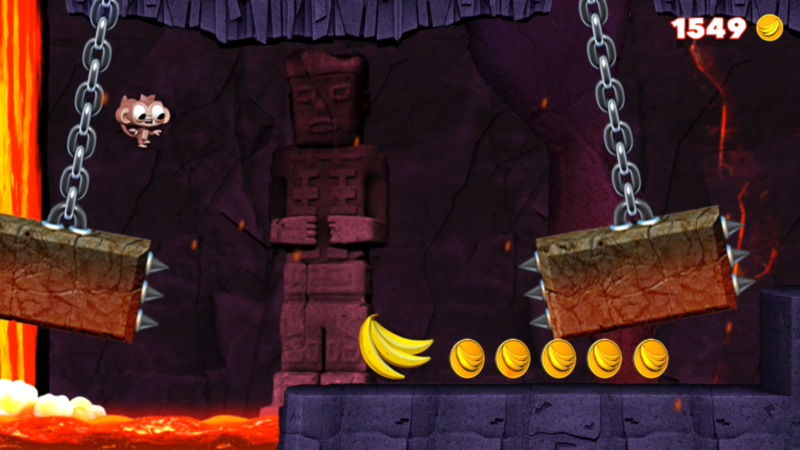 In fact, I’m pretty sure Dare the Monkey is the world’s first endless runner for Apple Watch. Pretty cool eh! Have fun playing. Oh and if you think you’re good at video games then see how far you can get in the game’s Long Run mode. Go on I dare you. Will you release an android version sometime in the future? The game does not appear on my Apple Watch… why? Hi Valdimir. Thanks for getting in touch and sorry you are experiencing issues on your Apple Watch. I’ve sent you an email with some questions that will hopefully help us find out what’s causing your issue. Thanks.